But now they’re saying I can do it with just an executive order. Now, how ridiculous–we are the only country in the world where a person comes in, has a baby, and the baby is essentially a citizen of the United States for 85 years with all of those benefits? It’s ridiculous. It’s ridiculous–and it has to end. Sen. Graham cheered Trump’s move against birthright citizenship, citing it as a significant “magnet” for illegal immigration. Graham continued explaining that birthright citizenship is a foreign concept in most modern countries. Eliminating birthright citizenship would prevent children born of illegal aliens would not receive citizenship status and would likely deter the practice of foreigners having “anchor babies” where immigrants plan to give birth to children on American soil to obtain citizenship for their children. The anchor baby population has skyrocketed in recent years. One Congressional Budget Office (CBO) study found that the anchor baby population per year exceeds the number of American citizens births from American citizens. 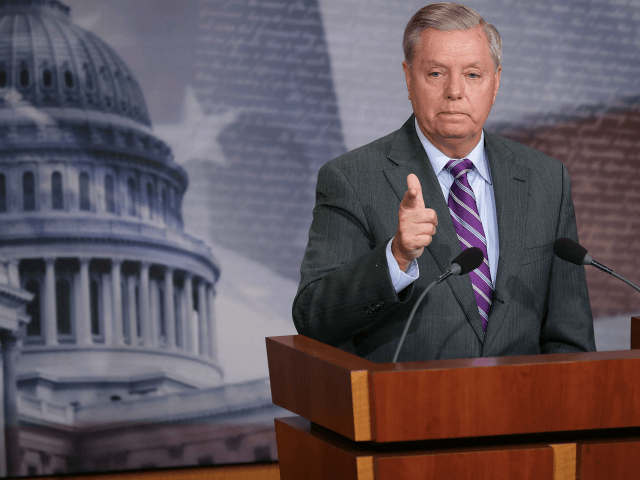 To enshrine Trump’s executive order into law, Graham said that he plans to draft legislation to codify the president’s changes to birthright citizenship.